Games have been letting us play as soldiers and combatants for decades, but there’s far more to war than fighting. 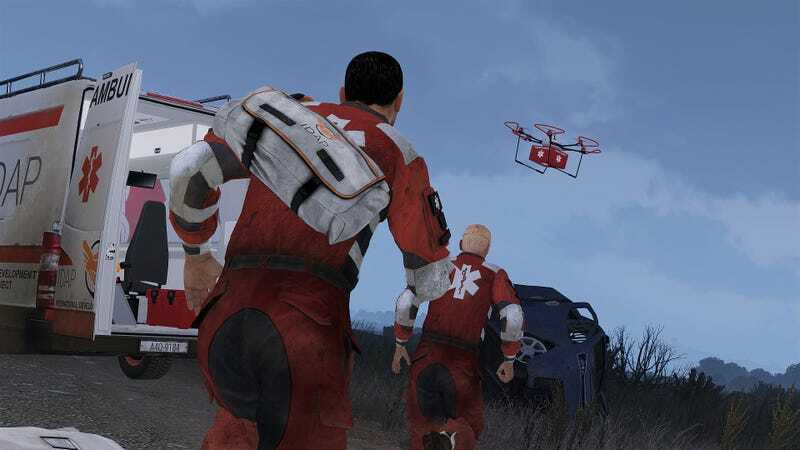 It’s a unique take on a genre typically prone to shooting first and asking questions never, but it’s not actually the Arma series’ first venture into humanitarian topics. Arma II’s “Army of the Czech Republic” DLC featured a mission in which you had to rescue civilians from a flooded city. Still, it’s cool to see developer Bohemia Interactive creating an entire expansion around the idea of humanitarian aid. The studio will even be donating a portion of proceeds to the International Committee of the Red Cross, the total amount of which it’ll apparently announce next year. Arma III’s “Laws of War” DLC will be out “early” next month.